Retired Marine officer Dave Lucas has thrown down the gauntlet to his electoral opponent, Washington state Rep. Timm Ormsby: Let's debate. Name the place and the time and a fair moderator and he's down for that. "I’ve given him pretty much carte blanche," Lucas says, "You give me an option, and I’ll come to that." But despite his persistence over the last few weeks, Lucas has been unsuccessful at convincing Ormsby to go toe-to-toe with him. In fact, in all his time in office, Ormsby acknowledges, he has never actually done a traditional one-on-one debate with any of his opponents. Lucas decries it as an "incumbent strategy" arguing that across the Pacific Northwest, incumbents in both parties are trying to avoid holding more debates with their underdog opponents. "At the end of the day, the voters are the ones who suffer," Lucas says. Ormsby got nearly two-thirds of the votes in the primary, and there's supposed to be a big blue wave. But Lucas still says that voters deserve a chance to see the two go head-to-head. In particular, Lucas wants to debate Ormsby's failure to get a property crime reform bill passed and the degree to which Ormsby supports a carbon tax. Theoretically, Ormsby says, there's a version of a debate he would agree to. But that version hasn't been presented to him yet, he says. Ormsby says that Lucas initially contacted him about doing a debate with a Facebook message around Labor Day. "We’ve got seven or eight of these public forums. It seems like a good time to interact... I've got a heavy schedule with the day job, campaign job, and family. Let’s see how this shakes out," Ormsby recalls telling Lucas. "If you’re not satisfied that people have had a chance to distinguish between the candidates, let’s talk." Ormsby says he declined to do a debate moderated by Kent Adams, host of Spokane Talks, a local online talk show. He argues Adams is biased. "Frankly, I wouldn’t bring this up, but it’s up there and out there, [but] Kent Adams is somebody who would like to see me get fired from this," Ormsby says. Ormsby also says Lucas would have to work around his hectic schedule. "I certainly admire his tenacity. He’s got one job, that is to campaign and that is to get me fired," Ormsby says. "I’ve got to juggle my legislative responsibility. There’s no way I’m impeding Dave’s ability to go out and get his message out there." But Lucas says he's flexible. "As a first-time candidate, I get it... I'm given the Heisman and continue to be told, 'This isn’t good for me and this and that date is or isn't good for me,'" Lucas says. "I told him personally if you give me a date, I’ll adjust. I’ll do everything possible to make it." He says he'd be willing to agree to a debate hosted by the League of Women Voters, a local news organization — pretty much anybody. How about one moderated by the Spokane County Democrats? Even that might be workable, Lucas says, as long as the questions are fair. "I’m willing to even have it be self-moderated," Lucas says. 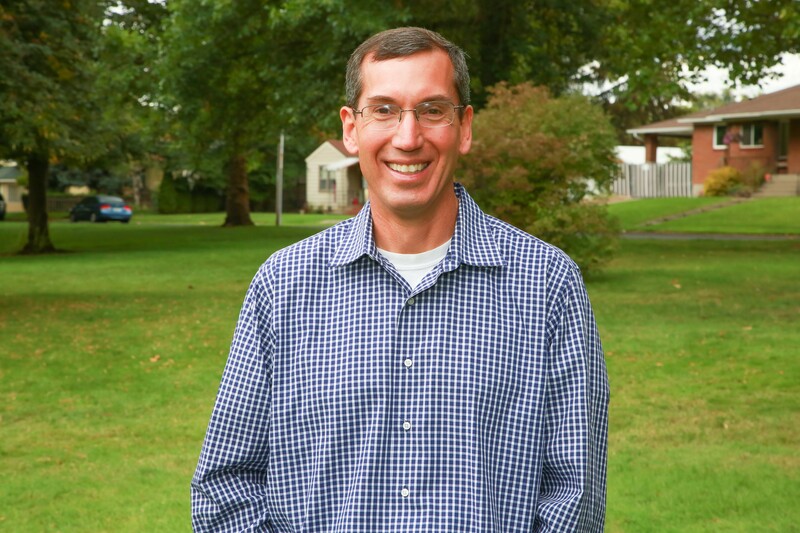 The Inlander asked Ormsby why he hasn't offered a Lucas a debate setup that would work for him, Ormsby stressed that he believed that the public forums he's done can give voters an opportunity to see contrasts between the candidates. He also says that's he's been focused on doing his job. "I am happy to interact with the public on issues of concern and interest to them, [but] I’m not looking to organize more pressures on my time right now," Ormsby says.